Robert John Riggins was born on the 4th August 1949, in Seneca, Kansas USA. He is best known for being a retired professional American Football player, who played in the position of running back in the National Football League (NFL) for the New York Jets and Washington Redskins. He is also recognized as an actor. He is also known under his nicknames “Riggo” and “The Diesel”. His professional playing career was active from 1971 to 1985. Have you ever wondered how rich John Riggins is, as of mid 2016? It has been estimated from authoritative sources that the total size of John’s net worth is over $6 million, which has been accumulated not only through his career in the sports industry as a professional NFL player, but also through his career in the entertainment industry as an actor. 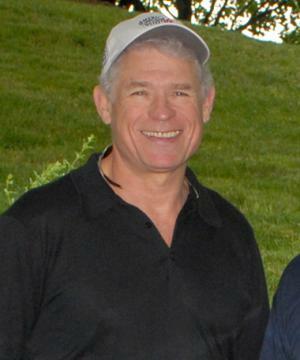 John Riggins was raised with two brothers in Seneca, but he went to Centralia High School in Centralia, Kansas, where he began playing football, and as he excelled in it, he earned All-American honors. John played football for the Jayhawks of the University of Kansas, and during his college career he earned several recognitions, including being an All-American, and he was also selected twicefor the All-Big Eight Conference first-team. He finished his college career with 2,659 rushing yards, which now makes him 6th on the all-time list. John`s professional career began in 1971, when he was selected as the 6th overall pick by the New York Jets in the NFL Draft. He played for the Jets until 1975, andduring his stint with the Jets, John received several awards and recognitions, including a Pro-Bowl appearance in 1975, and he was the New YorkJets` MVP twice, in 1973 and 1975. After the 1975 season ended, John became a free agent, and was soon offered a contract by the Washington Redskins. He stayed with the Redskins until the end of his playing career, with a pause during the 1980 season during which he was without a contract, as he and the team couldn`t reach an agreement. Nevertheless, the following year, John signed a new contract with the Redskins, and his career could continue. During his time at the Washington, John became one of the best players of the franchise, winning several awards, as an individual and also as a part of the team. The team became the NFL champions in 1982, defeating the Miami Dolphins in the Super Bowl, and he was named the Super Bowl MVP. Furthermore, he was the NFL MVP for the 1983 season, and he reached the 10,000 Rushing Yards Club. Thanks to his successful career, John was inducted into the NFL Hall Of Fame in 1992, having two years before become a part of the Redskins Ringof Fame. After retirement, John wanted to keep himself occupied, and started taking acting lessons. He has made several TV appearances, which have also added to his net worth. Some of his acting credits include appearances in such productions as “Guiding Light” (2003), and “One Tree Hill” (2009). He has also served as an NFL commentator and analyst in such radio and TV shows as “Redskins Report”, “Sunday Night Football”, and his own show “The John Riggins Show”, among others, all of which have added to his net worth. When it comes to his personal life, John Riggins has been married to Lisa-Marie since 1996; the couple has one child. Previously, he was married to Mary Louise O’Brien (1974-1991), with whom he has four children. John’s current residence is in Cabin John, Maryland. Place Of Birth Centralia, Kansas, U.S.
1 "I'm broke, I'm bored and I'm back." On his return to the Washington Redskins after sitting out the 1980 season over failed contract negotiations. 3 Played college football at the University of Kansas, where he was Big-Eight All Conference for two seasons. 5 A former professional football player with the New York Jets and Washington Redskins, Riggins set a single-game record for rushing yardage and was named Most Valuable Player of Super Bowl XVII as the Redskins defeated the Miami Dolphins, 27-17. 6 Played for the New York Jets, 1971-1975 and the Washington Redskins, 1976-1979 and 1981-1985. Riggins sat out the 1980 season. 7 Inducted into the Pro Football Hall of Fame in 1992. 8 Attended the University of Kansas. 9 Awarded the Most Valuable Player Award for Super Bowl XVII. 10 Rushed for 11,352 yards and scored 116 touchdowns in his career. 11 Playing for the Washington Redskins, he was named the MVP of Super Bowl XVII, held at the Rose Bowl in Pasadena, CA. His 166 yards on 38 carries helped the Redskins to a 27-17 victory over the Miami Dolphins on Jan. 30, 1983. 12 His NFL career rushing totals are 11,352 yards, with an additional 2,090 reception yards - an overall total of 13,442 positive yards from scrimmage. He also scored 104 rushing touchdowns during his career. 13 NFL Career record: 11,352 yards, 104 TDs rushing; 2,090 yards receiving; 13,435 combined net yards, 116 TDs. Super Bowl XVII MVP. 14 Sat out the 1980 season over a contract dispute. 15 Running Back for the New York Jets (1971-1975) and Washington Redskins (1976-1979 and 1981-1985). 16 Member of Super Bowl XVII Champion Washington Redskins team. Member of 1983 NFC Champion Washington Redskins team. Member of 1984 NFC East Division Champion Washington Redskins team. 17 Tied with Andra Franklin in leading the NFL in Rushes (177) in 1982. 18 Led NFL in Rushing Touchdowns (24) in 1983. 19 Named to AFC squad for 1975 NFL Pro Bowl. 20 Tied with Eric Dickerson in leading the NFL in Rushing Touchdowns (14) in 1984. 21 Ranks 10th on NFL All-Time Rushing Attempts List (2,916). 22 Ranks 13th on NFL All-Time Rushing Yards List (11,352). 23 Ranks 5th on NFL All-Time Rushing Touchdowns List (104). 24 Ranks 20th on NFL All-Time Yards from Scrimmage List (13,442). 25 Ranks 8th on NFL All-Time Rushing/Receiving Touchdowns List (116). 26 Was elected to the Pro Football Hall of Fame.